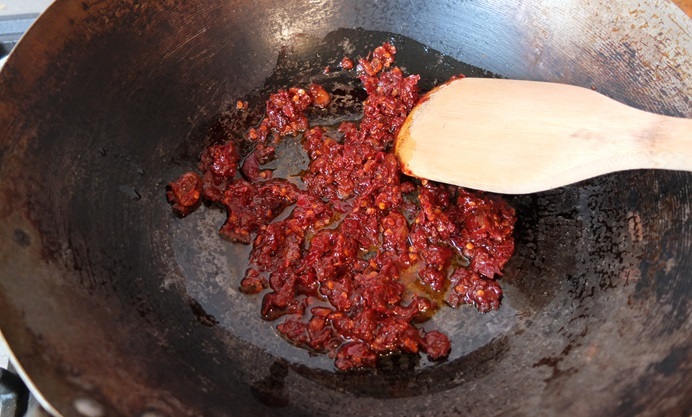 This stunning mapo tofu recipe from Helen Graves shows you how to make this classic Sichuan dish. 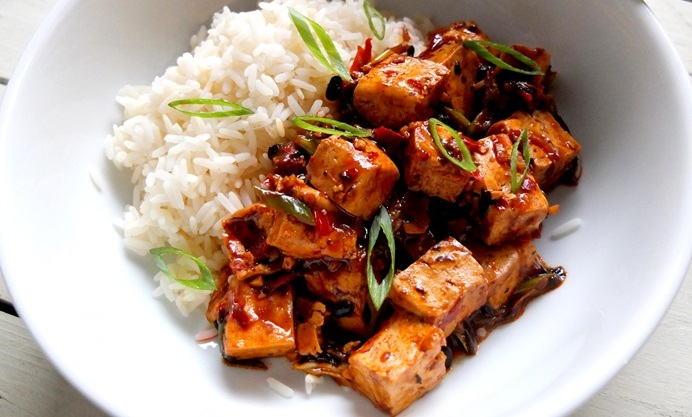 Fiery and deeply savoury, this is a great dish to convert tofu sceptics. This very famous Sichuan dish is also known as ‘pock-marked Mother Chen’s bean curd’ after the woman who reportedly first sold it in Chengdu, catching people with its delicious scent as they made their way home from work. Her face was scarred with smallpox, hence the rather odd name. I would claim that it is the most delicious tofu recipe of all time, and many people I know agree. 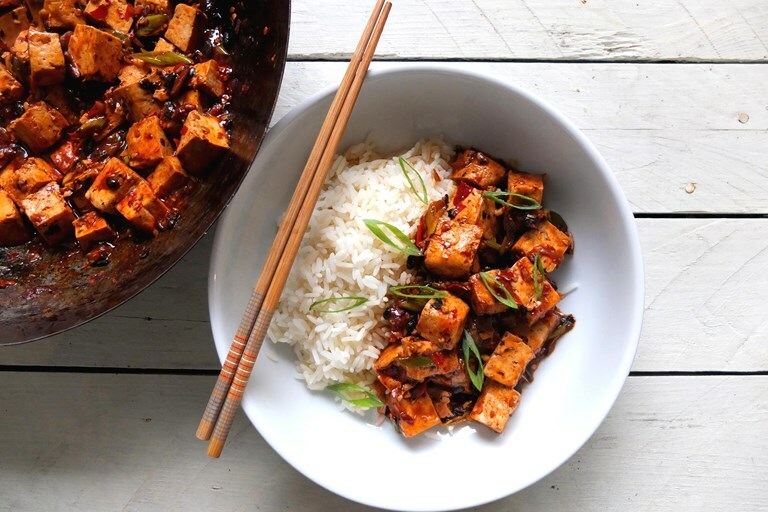 In addition, I’ve converted many tofu haters with this – it’s so intensely savoury and packed with flavour, yet it shows of the fabulous wobbly texture of the tofu at the same time. Eat it once, crave it forever.